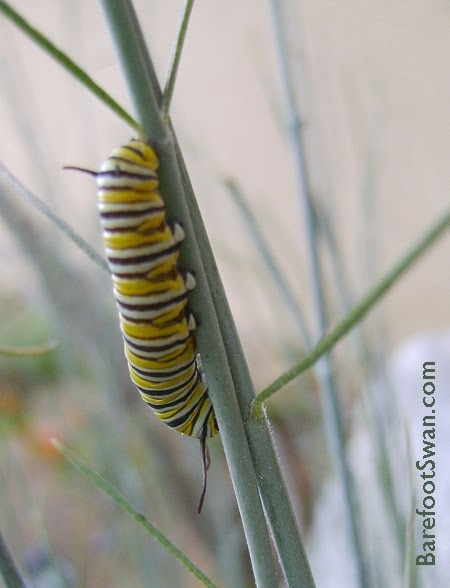 Our Monarch caterpillars are on the move again. 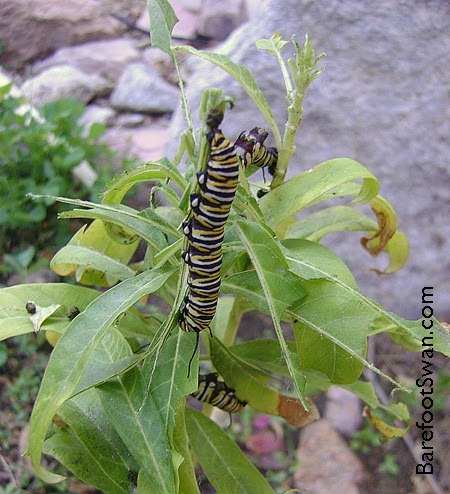 On Monday we found 6 of the caterpillars had moved from our Desert Milkweed plant to the Golden Butterfly Bush about 20 feet away. They were happily munching away on the leaves there, quickly nibbling them down to veins and bare stems. This morning when we checked on the caterpillars, they had disappeared again and were no longer on the Butterfly Bush. 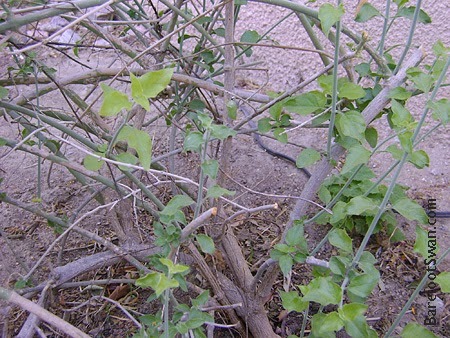 After carefully searching through our courtyard, we found two of the caterpillars had moved to our Chuparosa bush. One of them was quietly hanging upside down from a protected twig inside the Chuparosa. 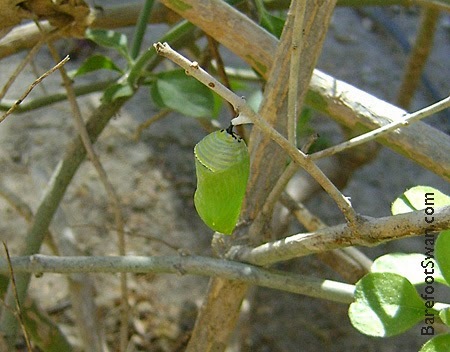 The second caterpillar had already begun its change into a chrysalis. Over the course of a couple of hours, the caterpillar's skin started changing color. Starting at the lower end the stripes gradually changed into a lime green color that slowly moved up the caterpillar's body. 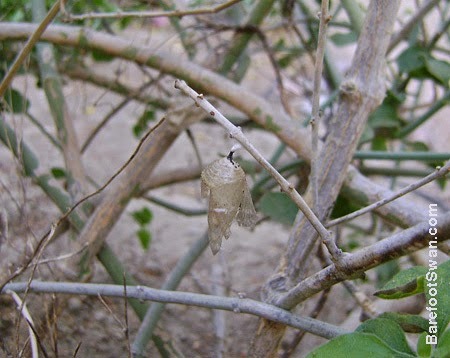 During this transformation you could see the caterpillar moving within the chrysalis. 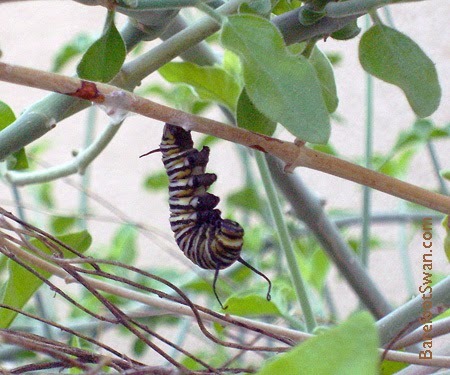 A week ago we started out with 10-12 Monarch caterpillars on our Desert Milkweed. 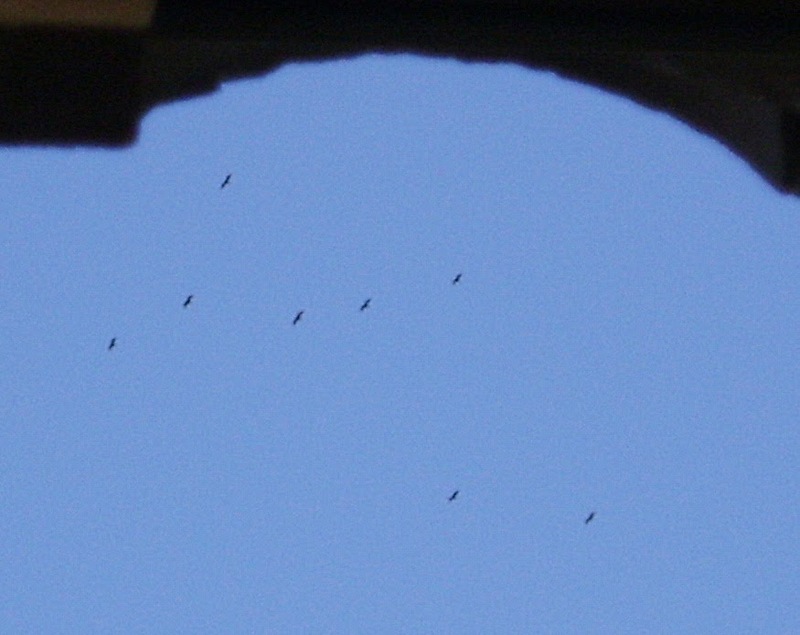 Today we know where 2 of them are. We will be keeping a close watch for the other caterpillars as we (very carefully) work in our yard. Did you find the chrysalis in the bottom picture? It's in the center of the image, about 1/3 of the way down from the top. 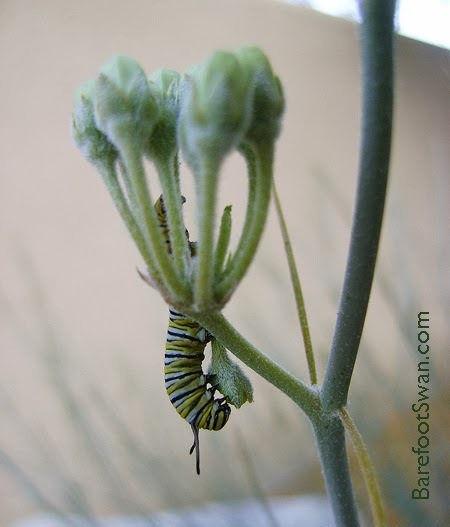 All last week we were watching our caterpillars get big and fat, eating the flowers and (tiny) leaves on the Desert Milkweed plant in our courtyard. This morning we found them on the Golden Butterflyweed, which is about 20 feet from the Desert Milkweed that they had been feeding on. They had eaten the Milkweed plant down to the stems, so it's possible they wandered off looking for more to eat. They seem to really like the Butterflyweed, and are chewing through it pretty quickly. Hopefully there is enough food for them there, and we will be able to watch them form their chrysalises soon. This morning we noticed that there were ten or twelve colorful little caterpillars on our Desert Milkweed, Aesclepias subulata. 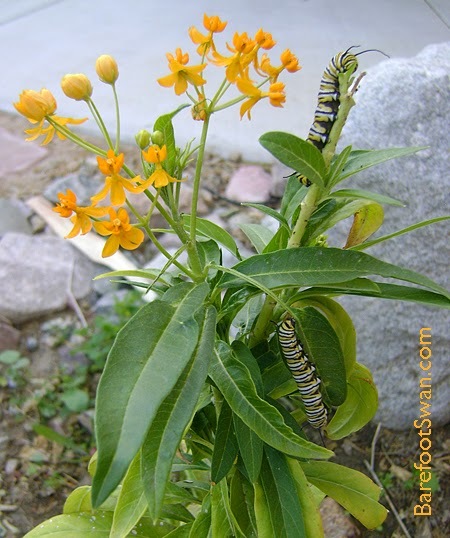 Desert Milkweed is one of the plants we added to our courtyard landscaping, in hopes of attracting more butterflies. 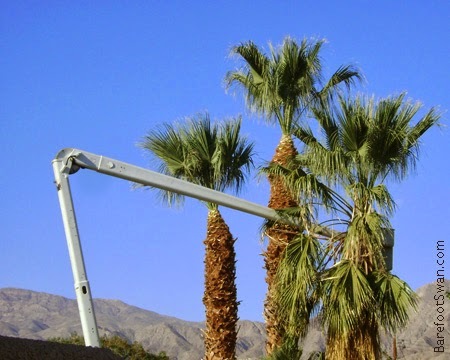 Looks like they found it :-). 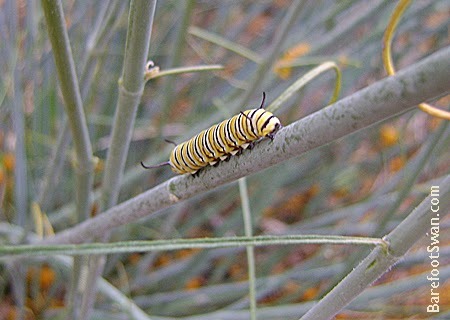 Pictures in our nature guide books identify these as the caterpillars of Monarch Butterfly. These little guys are (presently) less than 1.5 inches long. 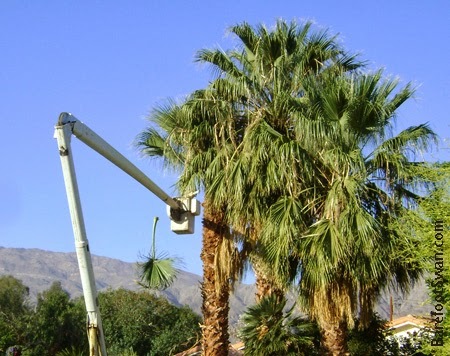 We will be keeping an eye on our new guests. Hopefully we'll get some more cool pics as they feed, grow larger, create their chrysalis and metamorphose into adult butterflies. 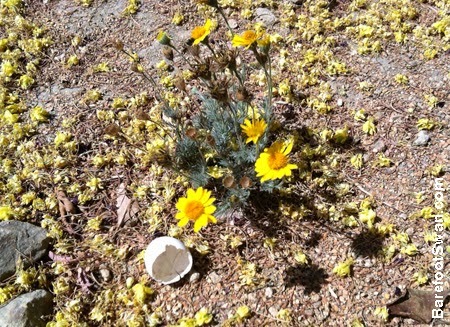 The Coachella Valley Wildflower Festival was held today, on the grounds of the Santa Rosa and San Jacinto Mountains National Monument Visitor Center in Palm Desert. 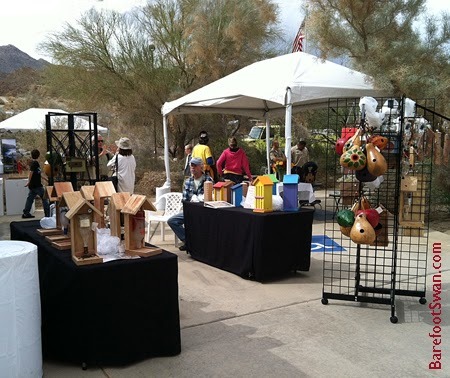 For the third year, we attended as vendors and brought a selection of our Bird Houses, Bee Houses, Bird Feeders and Yard Art from our Barefoot Swan Nature Arts online shop. The weekend weather was challenging, to say the least. 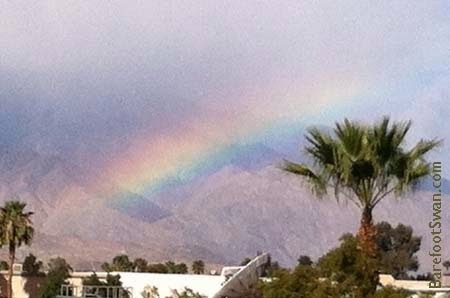 A series of 2 large storms rolled through over a 3-day period, bringing much-needed rain to southern California. The worst of the weather hit Friday evening, before the Festival began. 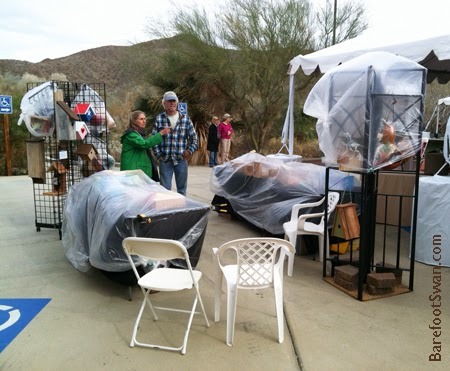 Saturday brought scattered showers and occasional gusty winds which made for an interesting day for us vendors. In spite of the weather, the crowd was enthusiastic and enjoyed hikes, live music and family activities throughout the day. We had good sales, with lots of interest in our Solitary Bee Houses and Recycled Bottle Bird Feeders. We also introduced a new Hummingbird Feeder made from recycled Coronita beer bottles, which will be added to our online shop once we take some photos. The weather gave us a chance to test out our "Rainy Day" set-up. It was fast and easy to cover the tables in plastic, to keep the rain off the hang tags and our signage.